When I was a little girl, I used to raid Grandpa’s candy jar when I visited. It was a small, etched glass behind a smooth brown cupboard door usually filled with lemon drops – which I loved despite the puckering. 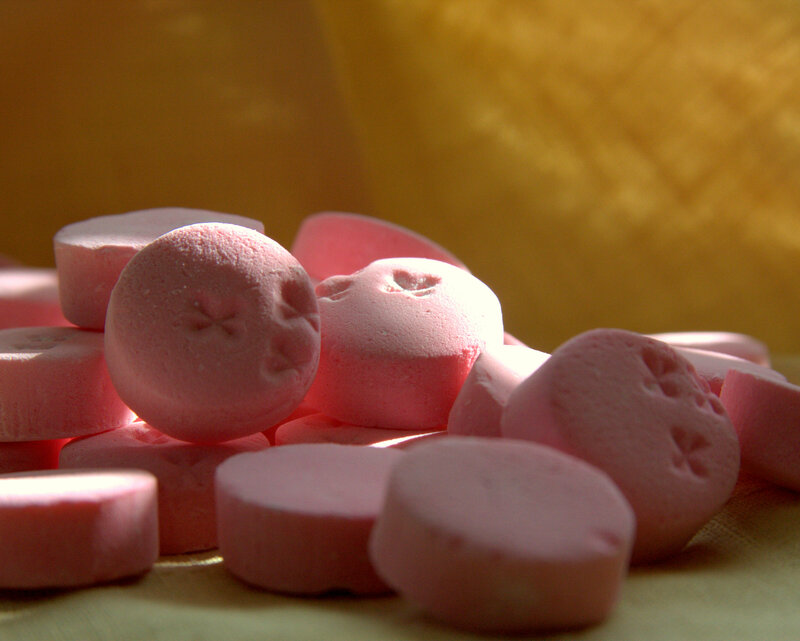 But, every now and then he’d fill it with these little pink peppermints. They were my favorite. When I walked into a local grocery store last night, my eyes were immediately drawn to a plastic bag of these candies. Feeling a bit nostalgic, I bought them. It was a tangible link to the memory of a man I lost 15 years ago now. To this day, Grandma has not moved the glass. It sits there empty as though it’s waiting for him to come home and fill it. Sometimes I want to throw my arms around people who are gone or hear their voices again. I’d like to sit next to them on the sidewalk watching the big kids play in the park or go throw rocks off the dock into the water. Interesting isn’t it? The power of a little thing like a peppermint can trigger so many memories.